HELSINKI, March 21, 2019 /PRNewswire/ -- Close ups of the 1000 lb. brown bear with claws thick, sharp, and strong. Capturing the breadth of the massive fjords of Norway jetting from the earth. 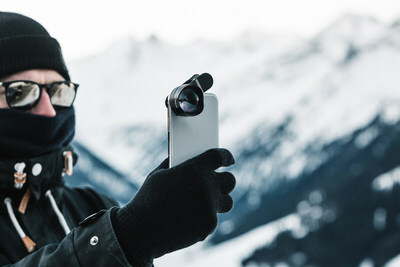 These are the unique and challenging shots pro photographer Damon Beckford captures with Black Eye 's new Pro Kit G4, using its three-new high-quality Pro phone lenses and just his smartphone camera to achieve professional-level photography while traveling on adventures. 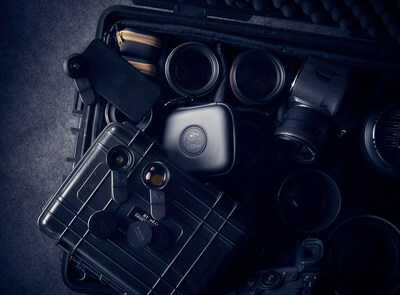 Black Eye 's Pro Kit G4 is a one-kit solution for pro-level mobile photography and film making. 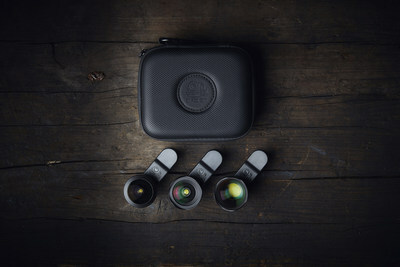 It features three new Pro lenses - the Pro Portrait Tele G4, Pro Fisheye G4, and Pro Cinema Wide G 4. The durable, compact travel case makes it easy and convenient to travel with the lens set. A $300 value for $250. That's about a tenth of the cost and weight of DSLR camera backpack with all of its accessories. The Pro Fisheye G4, a high-quality 175-degree fisheye lens, is perfect for shooting action sports, architecture, road trips, parties – anything where you need to fit more in the picture. Get demanding close-up action sports and POV photos and video. Cover epic landscapes without having to resort to panorama apps and stitching. Get a wider view to selfies by just clipping the lens over the front camera. Truly show what you are seeing when capturing the moment.